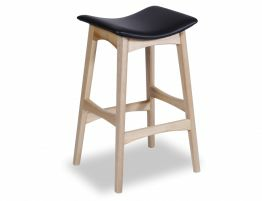 Our Scandi Bar Stool - Black Stained Solid American Ash w/ Black Italian Leather Seat is manufactured at a commercial grade and celebrates Erik Buch's famous designer bar stool known as the 61 stool. 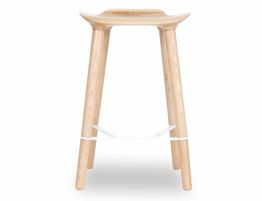 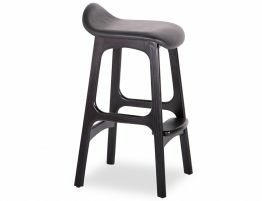 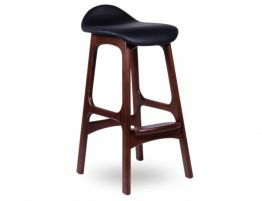 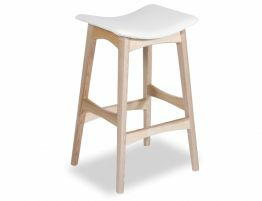 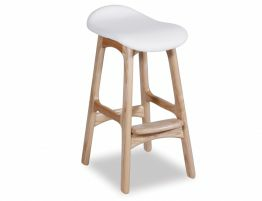 This gorgeous stool similar in design to the classic Erik Buch Replica Bar Stool with its very distinctive look employs a simple organic approach with smooth lines, in particular the detailing in the footrest and curved seat are especially interesting. 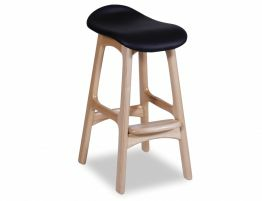 This Scandi Bar Stool clearly never dates, add it in any where to any story to create the perfect look.